Ty Andersen is low-key, but he’s able to put in work on anything in front of him. 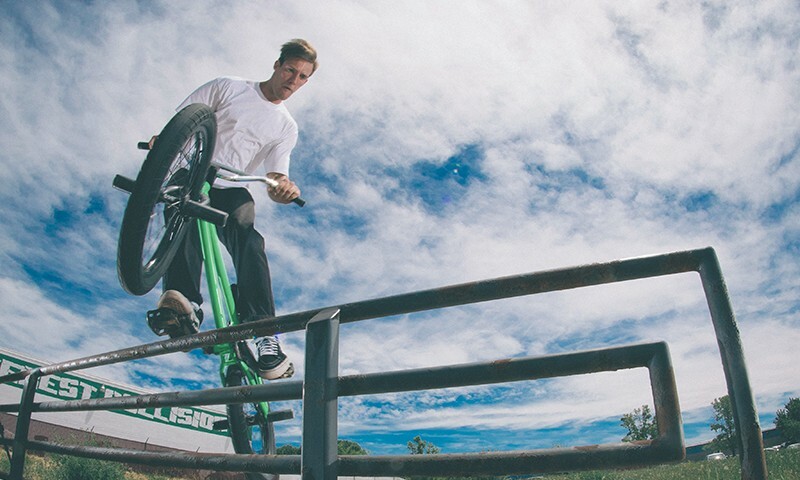 Primarily holding it down in the streets with his friend and SLUG BMX Photo Feature alumnus Dave Pendleton, Ty is also able to cruise through trails and skateparks with the best. 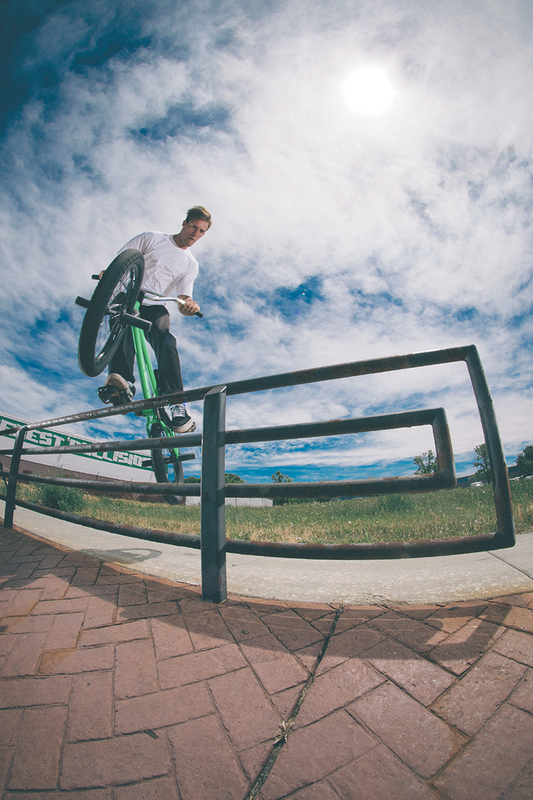 The day we shot this photo, there was an event going on at a nearby waterpark with the sounds of music and screaming kids filling the air as Ty sent this rail multiple times. The sounds of LMFAO’s “Party Rock” blasted through the waterpark P.A. in the distance as Ty locked into a solid crank arm grind and dropped into the cobblestone bank on the other side. Not quite content with how the first few felt, he ran through this perfectly a few more times. We got the photo and then headed out to find some more spots to smash up.